Pop Goes the Avant-Garde: Experimental Theatre in Contemporary China is the first comprehensive review of the history and development of avant-garde drama and theatre in the People’s Republic of China since 1976. Drawing on a range of critical perspectives in the fields of comparative literature, theatre, performance, and culture studies, the book explores key artistic movements and phenomena that have emerged in China’s major cultural centers in the last several decades. It surveys the work of China’s most influential dramatists, directors and performance groups, with a special focus on Beijing-based playwright, director and filmmaker Meng Jinghui—the former enfant terrible of Beijing theatre, who is now one of Asia’s foremost theatre personalities. Through an extensive critique of theories of modernism and the avant-garde, the author reassesses the meanings, functions and socio-historical significance of this work in non-Western contexts by proposing a new theoretical construct—the pop avant-garde—and exploring new ways to understand and conceptualize aesthetic practices beyond Euro-American cultures and critical discourses. Contents Prologue. The avant-garde in the twenty-first century : the return of the living dead? -- Part 1. An avant-garde trilogy : experimental theatre in contemporary China. 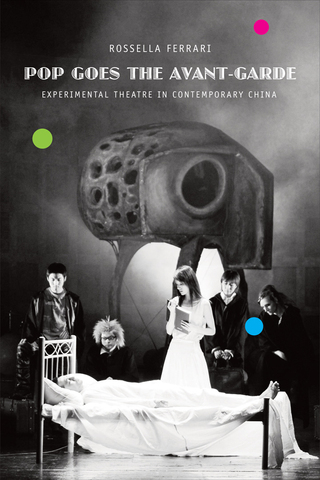 Introduction : the avant-garde in China : contexts, concepts, chronologies -- Behind the red curtain : experimental theatre in China after Mao -- Performing dissent and marginality : the 1990s -- Avant-garde, arrière-garde, or pop avant-garde? : experimental theatre into the new millennium -- Part 2. Aesthetics of delight : the theatre of Meng Jinghui. An absurd journey to the west : European theatre in post-Tiananmen China -- Uneasy homecomings : parody, deconstruction and the subversive rewriting of tradition -- Intercutural hybrids, pop strategies and 'Meng-style delight' : toward a new concept of the avant-garde -- Epilogue. From pop- to trans-Chinese avant-garde(s)?